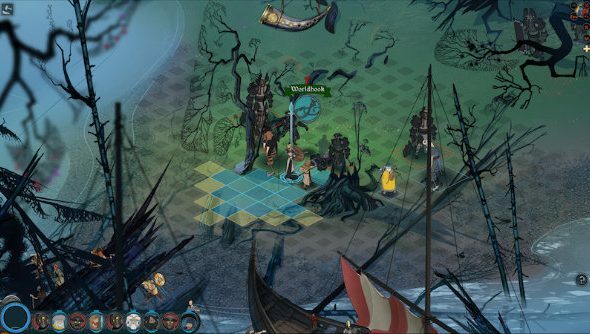 If you enjoyed the strategic combat of Banner Saga 2 and you’re done with the story, the game’s new Survival Mode is just for you. For more tactical treats, check out our list of PC’s best strategy games. Survival Mode puts players through the meat grinder as they try to survive 40 back-to-back combat scenarios where each turn has a 30 second timer. “Survival Mode is something we’ve been working on behind the scenes for a while now,” commented John Watson, technical director at Stoic. “This is an entirely new experience within Banner Saga 2. In this new mode you have to put together a combat team made up of existing Banner Saga heroes – after that you’re thrown right in. Any character who dies is gone forever and can’t be revived. Fortunately, each victory brings with it Renown, a currency you can spend on bolstering your ranks with new heroes, replacing the fallen. Additionally, items – which also drop in combat – can be bought with Renown, so if you get a good win streak going you can build up a pretty strong team. The mode comes with all three difficulty levels and is complete with leaderboards so you can brag about those difficult victories. The free Survival Mode is available now for Banner Saga 2 owners on PC and Mac.